إن فندق Hunter Valley Resort بموقعه الممتاز في بوكولبين هو نقطة انطلاق جيدة لنزهاتك في هانتر فالى. يمكن من هنا للضيوف الاستمتاع بسهولة الوصول إلى كل ما تقدمه هذه المدينة النابضة بالحياة. يوفر الفندق بفضل موقعة الجيد وصولاً سهلاً إلى أهم معالم المدينة.
. إن Hunter Valley Resort حريص على توفير الراحة للنزلاء، فلا يوفر الموظفون جهداً في تقديم أفضل الخدمات وضمان حسن الاستقبال. هذه بعض الخدمات الموجودة في هذا الفندق: تسجيل وصول/خروج سريع, تخزين الأمتعة, واي فاي في المناطق العامة, صف السيارات, خدمة الغرف. يمكن للنزلاء الاختيار من ضمن مجموعة من الغرف المصممة بعناية لتعكس جواً من الراحة، والتي يتجاوز عددها 35. يقدم الفندق مجموعة واسعة من وسائل الراحة المتنوعة، كمثل: حوض استحمام ساخن, حمام سباحة خارجي, سبا, تدليك, مسبح (للأطفال). يشكل Hunter Valley Resort بخدماته الراقية وموقعه الممتاز، قاعدة مثالية للاستمتاع بإقامتك في هانتر فالى. Bathtub plug stuck there was no effort I could pull it off so got a bit anxious about it. Receptionist asked me to photocopy my credit card for she said if damaged the room, I could not see any conditions on my agoda booking beforehand so it got me surprised. 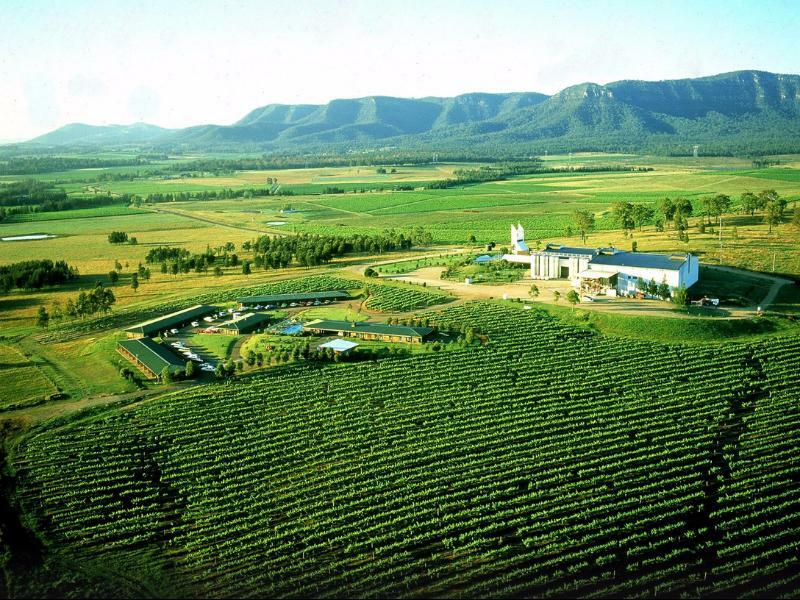 The hunter valley resort is an aging hotel, however, has quite clean rooms, good air conditioning and decent beds. It's not the cleanest, nor the most comfortable, but for the price, I cannot fault it. A miserable room and furniture, the bathroom was very basic and gloomy. The bed linen and comfort of the bed were good. Staff not helpful when I was given the wrong room, said I would have to sort it out with my agent!! The rooms were clean and so was the bathroom, but very basic.. Not sure there was a justification for the price they charged. 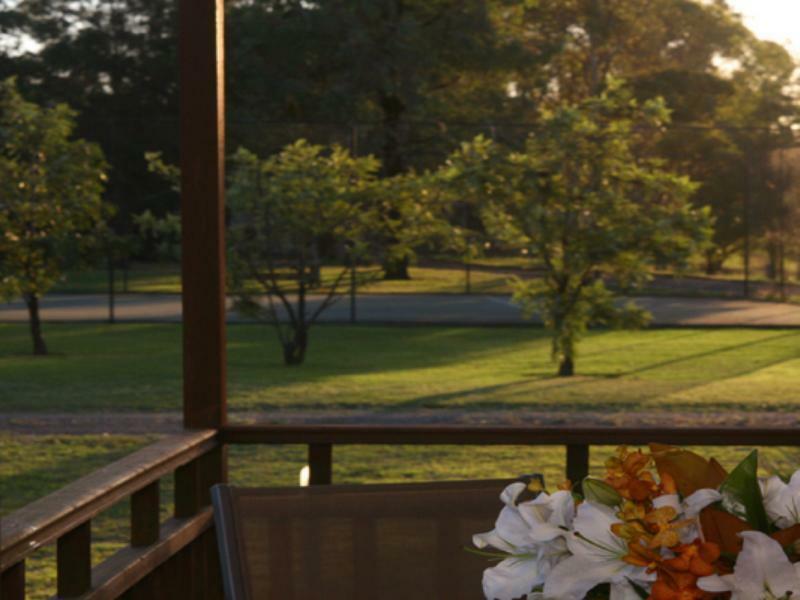 There are many other places to stay in the Hunter Wine region that are much better in the same price range. Conveniently located with brewery, wine tasting and restaurnt on site and close to activities with horse riding and segways a short walk away. Sorry, maybe I get spoilt now that I live in Asia, but Australian accommodation is just sooooo overpriced and offers so little for your tourist dollar. The room was large but pretty tired and in need of some TLC. In my opinion the resort is too far away from the centre of action in Pokolbin, but if you're looking for a very quiet retreat then this might fit the bill. The pool area is nice, though, and there is a laundry with coin in the slot facilities. It's ok, just not great. Given that I was paying a relatively low price compared to other Hunter Valley resorts, I was pleasantly surprised at the accommodation. I would not call it 4 star Hotel no, but as a very well endowed "motor inn" then its up there with the best. I read a lot of negative reports about the place from those expecting a whole lot better ... but again putting everything into price context I would say you get an extremely good deal for the money. 1. Fabulous location... worth the tiny premium for the Vineyard View with sliding doors out onto a real vineyard. Pleasant walks down to a lake and views across rolling vineyards. 2. Peace and tranquility. 3. Nice clean "log cabin" style unit. 4. Splendid Breakfast. WOW! Talk about a "full monty". Wonderful cooked breakfast as well as fruits, juices, cereals etc. 4. Great staff. Friendly and solved any questions or issues I had immediately. 5. VALUE FOR MONEY. If you read some of the reviews, I think expectation far out-weighs the price paid. Frankly I did not understand them given we are talking fantastic features and great food for less than nearby (New England Highway) roadside motel money. Would I stay again... well I stayed 2 days and I would stay there again in a heartbeat. So who am I to judge? Well for what its worth, I have been travelling the world for over 30 years and have stayed at the best 6 star and the worst 1 star. If I say I am something of a "been there done that" and somewhat "jaded" traveler then I hope that counts for something. But really, this place stands out. I TRULY enjoyed staying at the Hunter Valley Resort because in my old age I have come to value getting my money's worth. No it is NOT a 4 star hotel. But it is an extremely pleasant motel-style facility set well off the road and with excellent "4 star" features. I hold "value for the money" as the highest of all my travel requirements and for that alone I HIGHLY recommend staying here. It was nice and quiet stay, the staff just talk to us super fast and disappear in just one minute. There is no free wi-fi in room, only in library and closed early. I think it's over-priced and overrated. Staying as a family group (2 babies, parents and grandparents) we stayed in one of the 2 bed cottages. It was clean, spacious and well-equipped. Beds were very comfortable and we loved having en-suites on both rooms. The library was a nice touch, with self serve tea and coffee, and board games available to play. We spent a morning by the pool, which was clean and pool towels were available to loan. The laundry was great with a modern washer available to use free of charge. The chilled filtered water cooler and complimentary bottled water in the rooms was very welcome on the hot humid days we were there. The restaurant was great too..and very accomodating of our messy babies! Good value for a family trip, the cottage is very spacious, comfortable stay overall. Wine school was great, learnt much & ended up buying a bottle. Only disappointment was the vineyard inspection, which the whole family was looking forward to, was replaced by a short intro to grape plants in the field. The vineyard was under refurbishment and was closed to tourists. They really should have told you before the booking. The pictures show view on vineyards but in fact, it´s pointed at some trees from far. 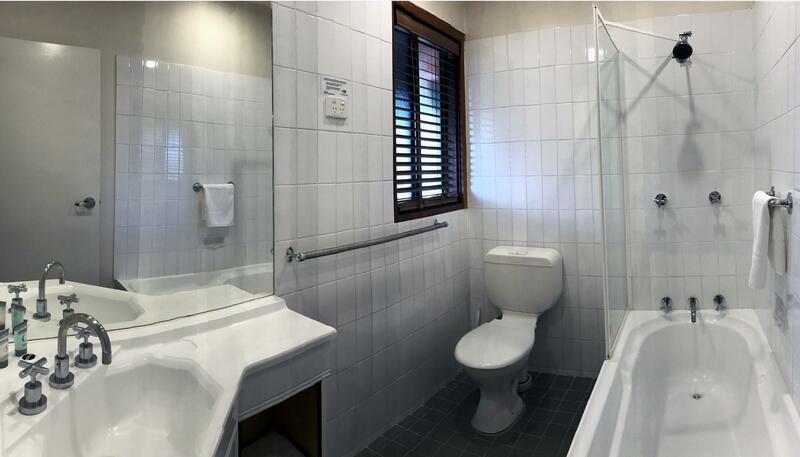 It is an expensive stay for a quality of motel accommodation. Handy location and good with a brewery, adventure hire place and restaurant onsite. Rooms were comfortable. Rooms could do with an update, but still comfortable and clean. The restaurant was a pleasant surprise both for dinner and breakfast. Great menu and lovely food. I didn't actually stay I had to give it away at the last minute along with some concert tickets, but I was told it was lovely.